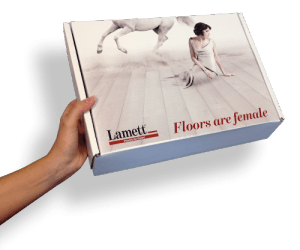 What is the difference between parquet and ParquetVinyl? WHICH FLOOR SUITS YOU BEST: PARQUET OR PARQUETVINYL? This largely depends on your aesthetic preferences. Installation, maintenance and the price of the floor are other factors to take into account. To help you choose we have summarised the most important properties of these two types of floors. Parquet floor is the generic term for all wooden floors with a solid wooden top layer at least 2.5 millimetres thick. All our wooden floors are oak parquet floors. ParquetVinyl is an elastic synthetic (water-resistant PVC) floor covering that consists of a number of layers: ultra-strong and rigid carrier, high resolution decor film, transparent wearing surface and a mat PU top layer. 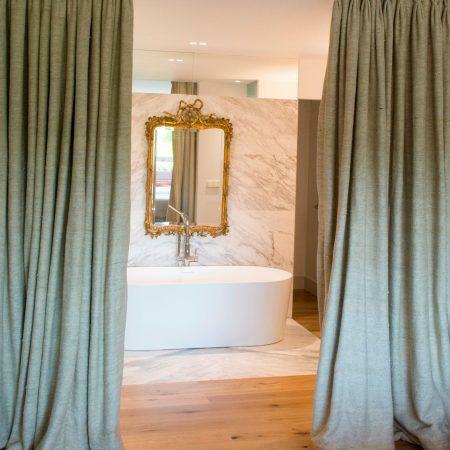 When choosing a floor you obviously first look to see what you find most attractive. Many people swear by a wooden floor. Parquet floor is indeed beautiful. Nothing can ultimately compare with the pure character of natural wood. However, ParquetVinyl has undergone a real revolution. When thinking vinyl do not think of a dusty ‘hospital floor’ on a roll. 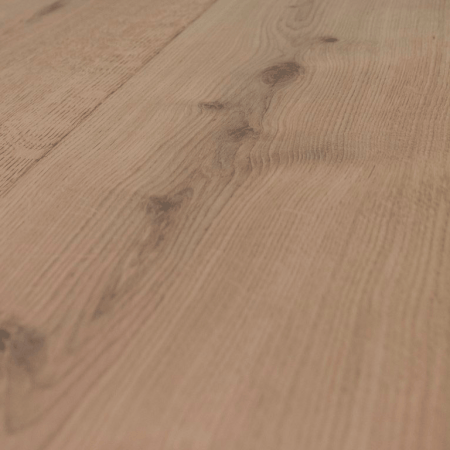 We offer high quality planks with a perceptible wood structure and highly realistic wood patterns. You can hardly tell it from the real thing! ParquetVinyl has a big advantage: it is water-resistant. So you may lay it in damp spaces such as your kitchen, bathroom or basement. ParquetVinyl is also perfectly suitable for installation in spaces with much direct sunlight such as verandas. Parquet floor is a wood supporting structure so not water-resistant. This does not mean that there will immediately be problems as soon water arrives on it. An oiled parquet floor has a moisture-resistant protective coating. Regularly maintaining your oiled parquet floor with the correct natural soap keeps it fed and protected against humidity. You cannot feed a lacquered floor, you can only clean it. The varnish coat takes care of protection.